Download PhoneClean to Start Your Excellent iOS Device Clean Experience! Welcome to PhoneClean Online Guide. 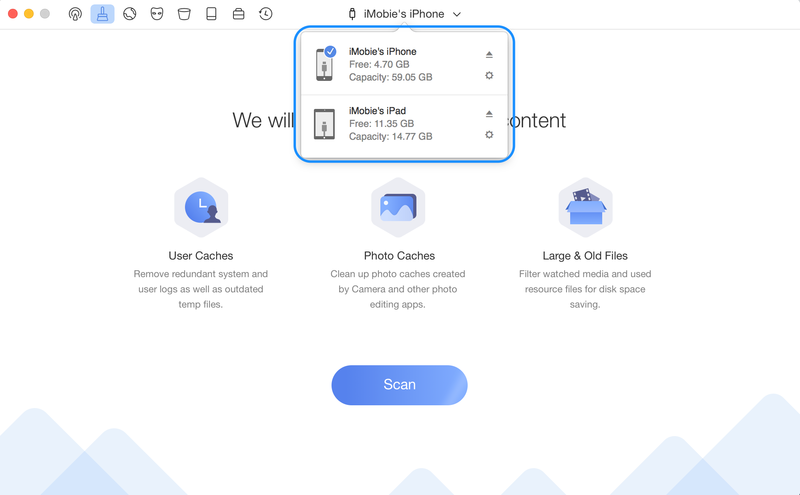 Here you can find all detailed tutorials about how to use PhoneClean to clean up junk files, sensitive and private data as well as permanently deleting all contents on your iPhone, iPad and iPod touch with one-click. If you still have questions after reading this guide, please do not hesitate to contact our Support Team, and you will receive solution within 24 hours. Download Now *Available for Windows and Mac computer. Buy Now * Enjoy lifetime upgrade and support. Learn the basics, settings and device management to facilitate your routine use. Please refer to the following guide to make good use of PhoneClean. Check the junks file types that PhoneClean supports to clean here. Apple blocks Apps access permission for iOS version 8.3 or higher because of security issue. Next, please connect your device to computer. Once the device is recognized by PhoneClean, you can launch cleaning features based on your needs. ① Please download the latest version of PhoneClean. ② Reinstall iTunes and make sure your device is detectable on iTunes. ③ Check whether your USB cable is loose. If it is, please reconnect it. If USB cable is broken, please give new one a try. ④ Please login your computer as Administrator account. ⑤ If problem persists, please contact our Support Team for further diagnosis. 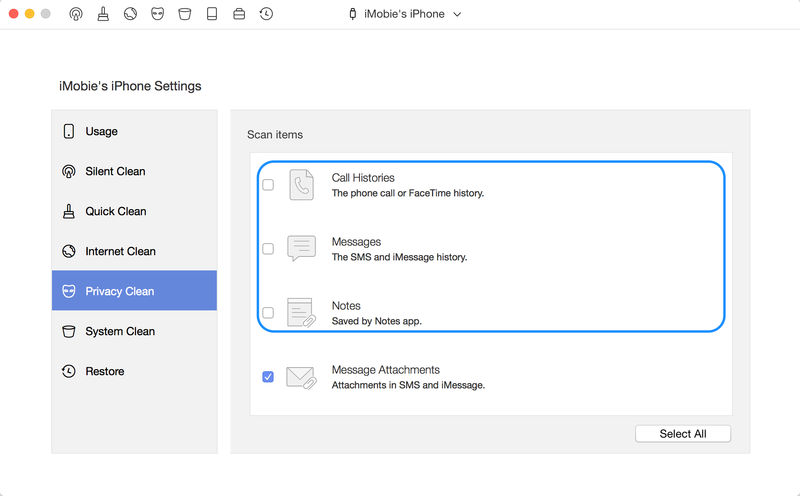 To make good use of PhoneClean, you can set up and customize PhoneClean features. Please click the device name on the upper middle of the interface and then click the button. 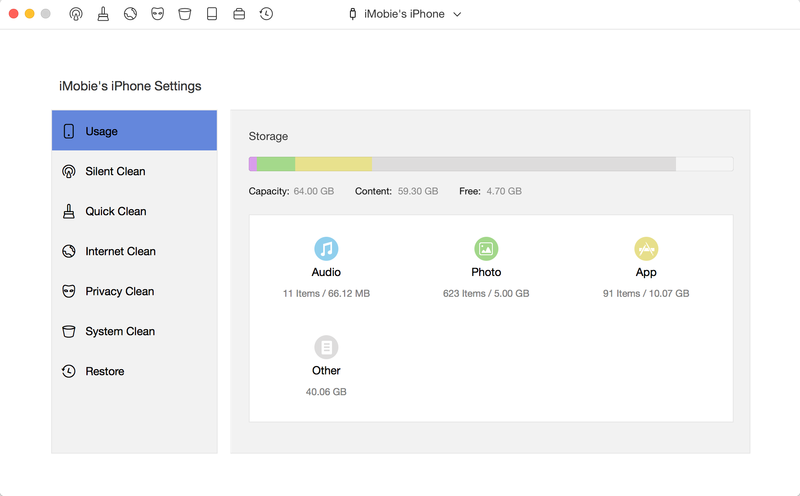 In Setting page, you will be able to view your storage usage and customize the cleaning process under each cleaning features. * Other: Other contains settings, calendar events, notes, browser cache, email, email attachments as well as corrupted files. To learn more info about Other, please refer to this passage. To make Default Settings before cleaning process, please choose items you want to clean (whenever Silent\Quick\Internet\Privacy\System Clean). Taking Privacy Clean for an example, you can choose all file types that you want to clean by checking the box in front of it. Or you can choose some file types that you want to clean by checking the box in front of it as your need. 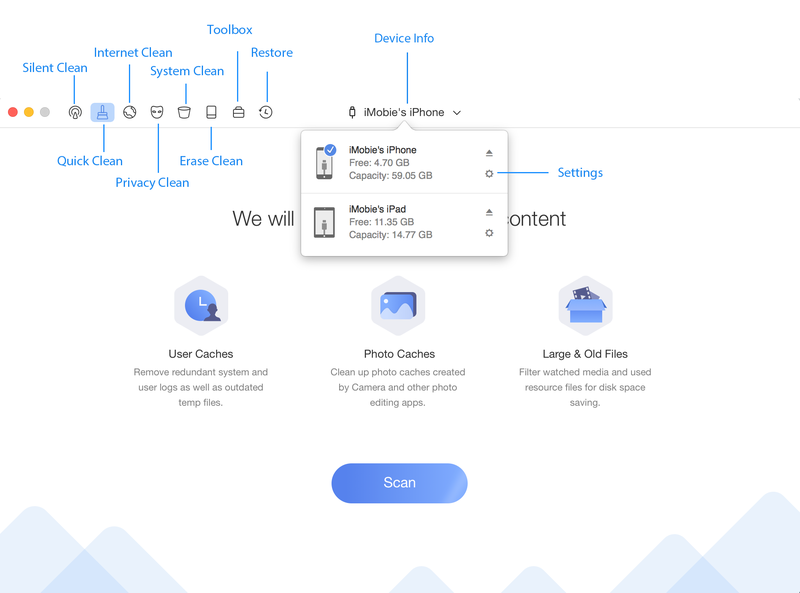 Considering the importance of your data, PhoneClean creates full backups automatically prior to Internet\Privacy\System Clean. 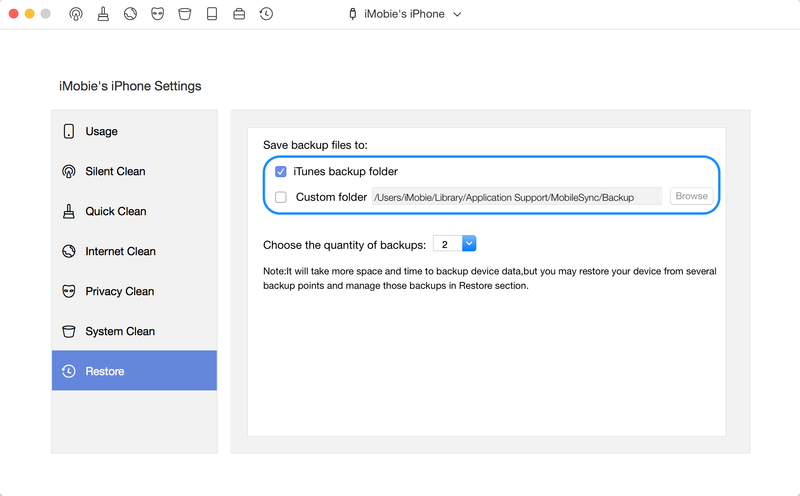 Even though you delete data by accident, you may retrieve it from backups. Please click Backup Options button to choose your backup location and quantity. And you may select to save your backup in any location you want on you computer. 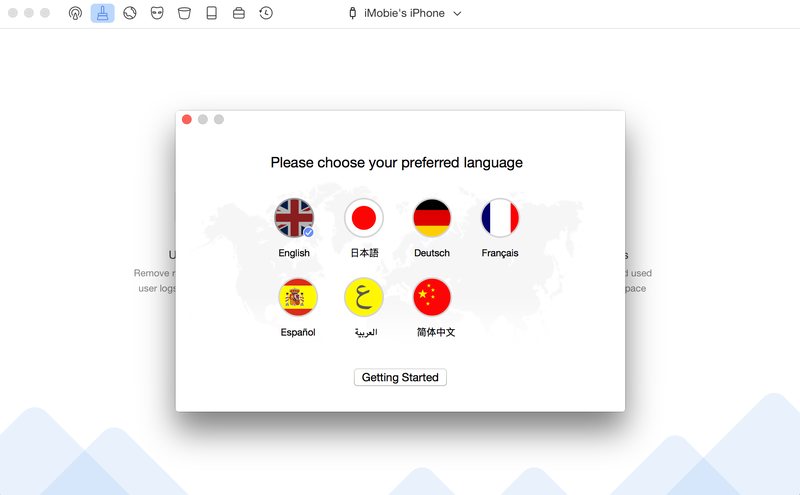 PhoneClean supports 7 languages (English, Japanese, German, French, Spanish, Arabic and Simplified Chinese). You can choose preferred language when you firstly launch PhoneClean or change it from the menu bar. 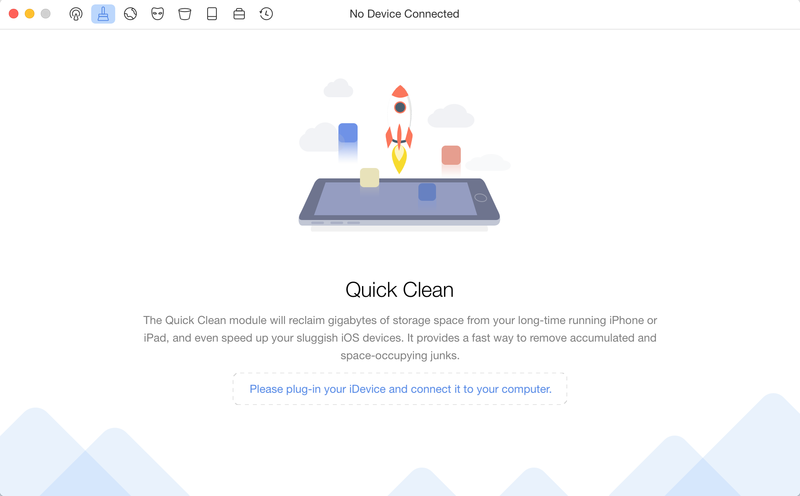 PhoneClean supports multi-device connection. When the device is recognized by PhoneClean, you will be able to see the device name in the upper middle of the interface. Please click the current device name to unfold the device info and switch to other devices. 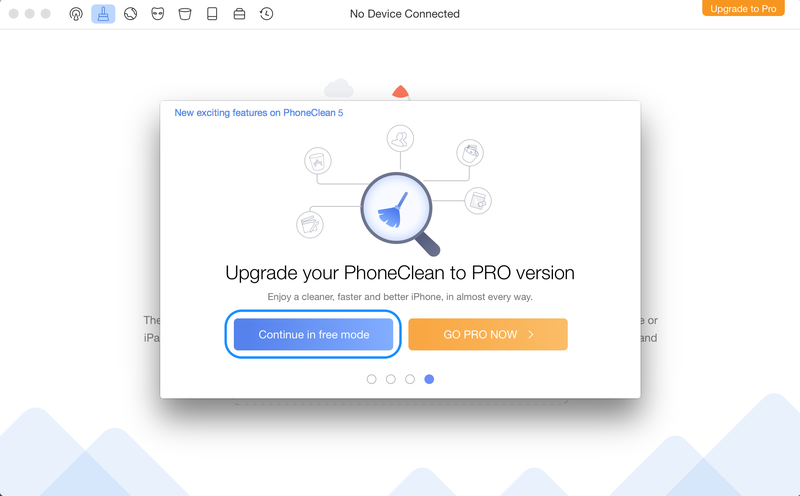 When you download and install PhoneClean, you only have the Trail Version. 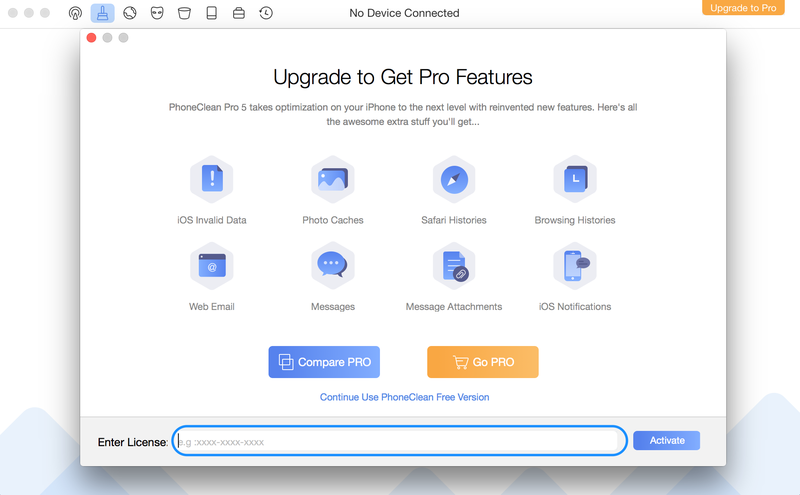 You need to activate with the license code to get PhoneClean Pro version and remove all the function limits. Please simply launch PhoneClean and you will see a 20s countdown window, which introduces new features on PhoneClean 5. After the countdown, please click "Continue in free mode" button to continue. After that, please simply click “Upgrade to Pro” button on the upper right corner. And then copy & paste the license code to avoid any type mistakes. Please also connect your computer to the internet when you register the code.